Barney is a hapless barber, devoid of charm and ‘patter’ as his fellow barbering brethren mockingly remind him. Barney’s mediocre, mundane life of plotting for a way up is about to be transformed, following a typically incompetent fit of pique, when he inadvertently stumbles into serial murder, and with it headlong into the trail of a grotesque series of killings gripping Glasgow. As he makes ham-fisted attempts to cover his tracks, he finds himself on the run from the bearish Detective Inspector Holdall and a testosterone-driven local Police task force at each others throats over the ongoing crimes. 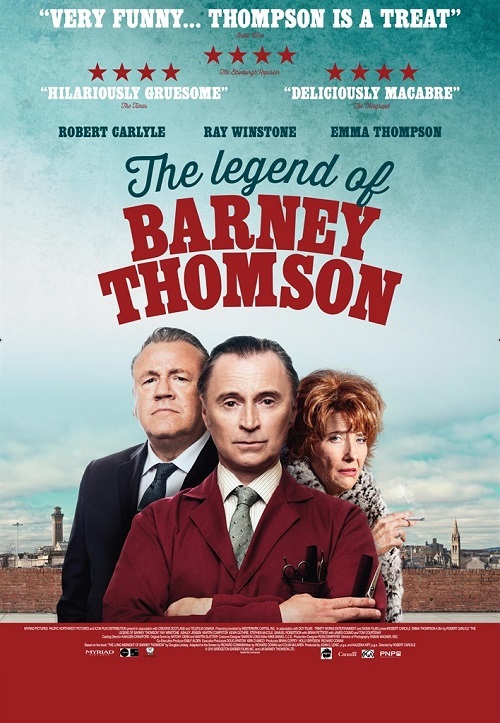 With his sanity threatening to unravel, Barney fatefully turns to his domineering, emasculating mother, the formidable Glaswegian ‘good-time girl’, Cemolina. There’s no turning back now and the path that lies ahead for Barney may yet be littered with more murderous consequences than he could have ever anticipated.